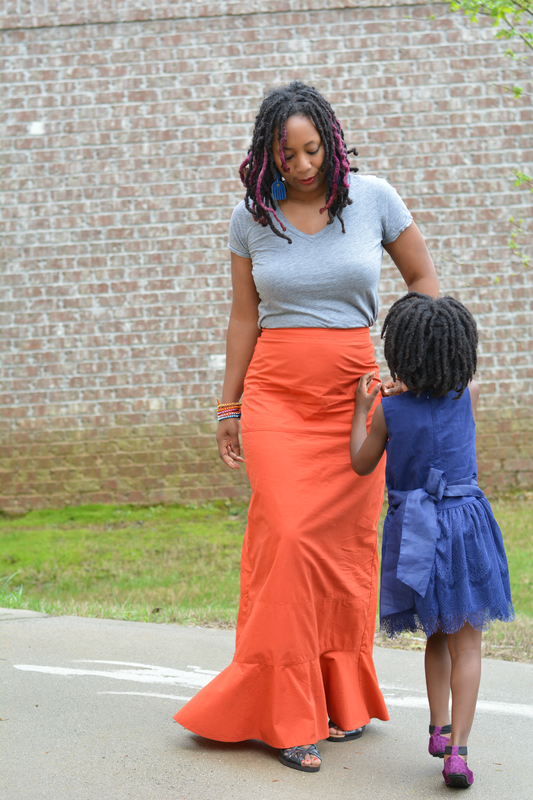 When I found this orange skirt last year during my Atlanta thrift haul, I had no idea that I would actually be living here. Funny how life works. 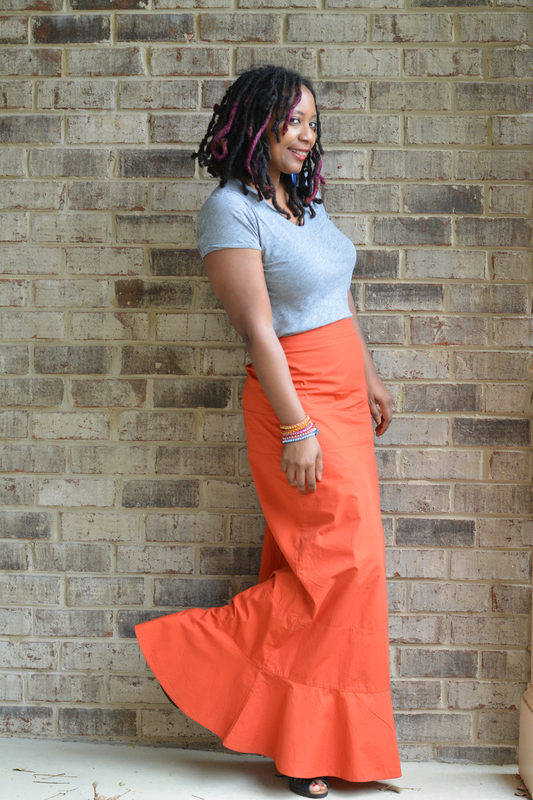 The skirt had a huge, sporty pocket on the front that I removed immediately and made it more functional in my closet. If you haven't noticed, I don't really have an athletic side. I bought the skirt for its cotton fabric and the structured, clean lines. I liked the little mermaid detail too. It can be dressed up or down and somewhere in the middle which is how I wore it Sunday. It's easy and comfortable. My only complaint is that I had to iron it and then as I moved through the rain and humidity of the day it wrinkled up all around me. Grey is my favorite companion to orange. Black is too Halloween for me. White works but it's very basic. Grey is best and I absolutely love this grey tee. I don't know what J. Crew did but something is different about the cut and it's very flattering considering it's just a simple t-shirt. I wore flat sandals much of the day but I got tired of hiking the skirt up to avoid puddles. I rediscovered my summer sandal collection and grabbed wedges with a little bit of platform to give me some height and keep my toes dry. 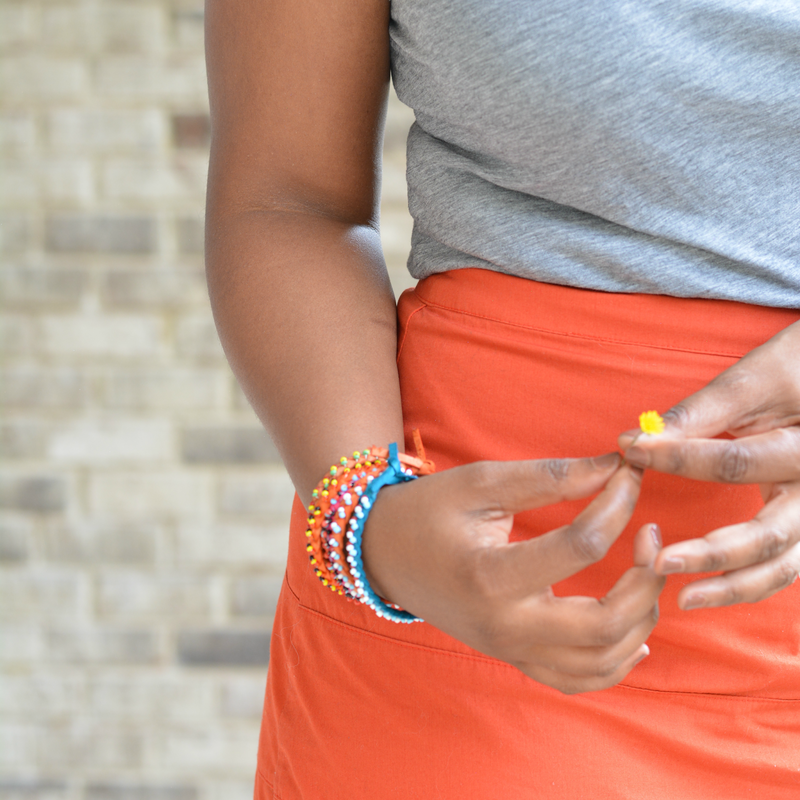 As I kept to standard issue grey and orange, I felt good about unleashing lots of color in my jewelry -- some of my trinkets from Kenya. The colorful leather friendship bracelets and wooden earrings add that extra perk to this rainy day mom casual look. What colors do you wear with orange? Very pretty orange and I like the idea of pairing it with gray. I agree that black is too Halloween-y. Love this whole look, you're rocking it! The grey and orange look great together! I also like wearing blue and tan with orange. You're my new girl crush! 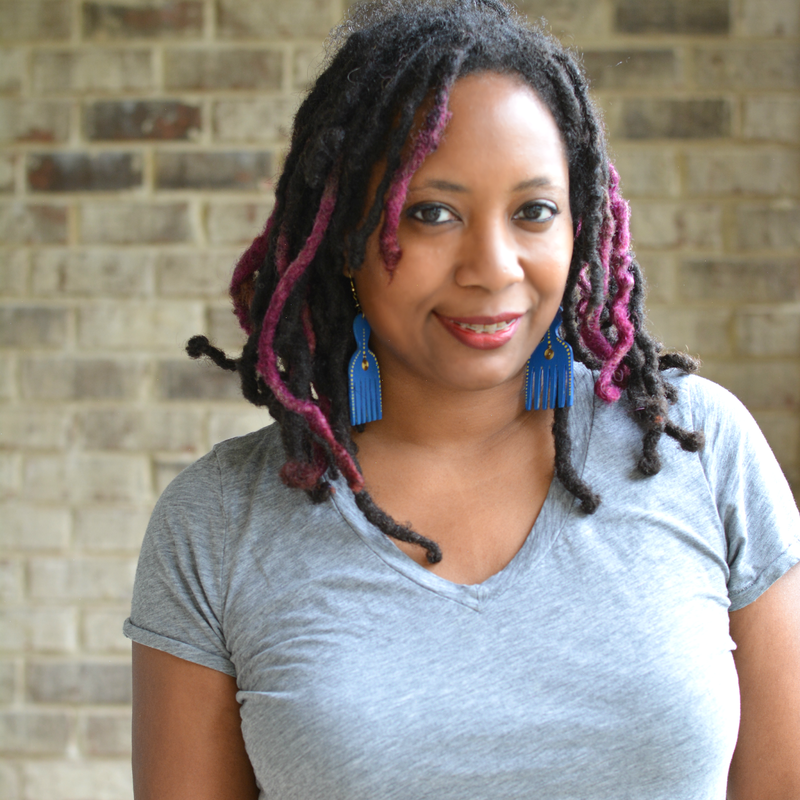 Love love LOVE your style; both in fashion AND writing. I'm inspired. I seriously love that skirt so much! And V looks on point as well. She's getting so big! Your hair, this outfit, everything is amazing! I love that skirt and you styled it so well. Stopping by from Valery Brennan's Thursday Threads! Love! 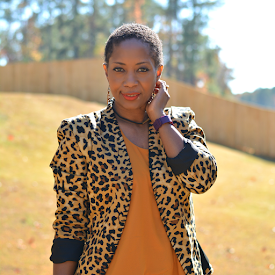 Orange is my color in any season and I typically wear it as a pop of color. 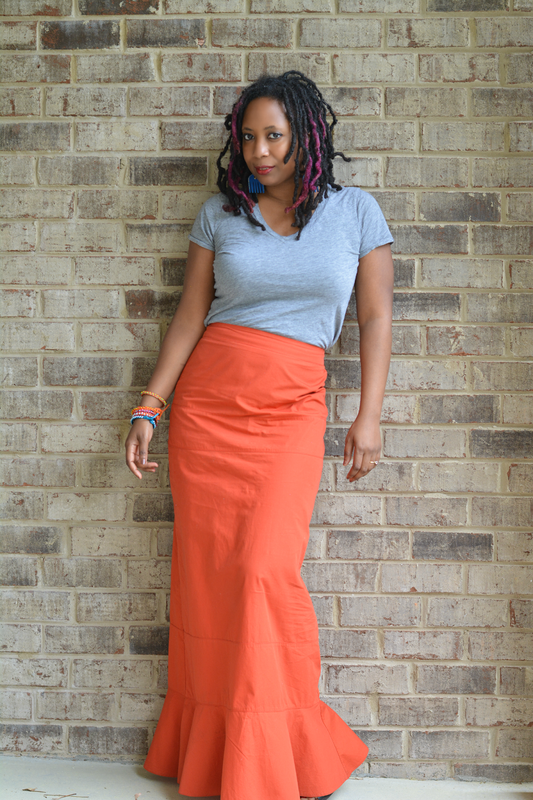 Love this orange skirt on you and it is my fave color. Thanks so much for linking up last week! I'm totally with you - grey is definitely the best companion to orange. 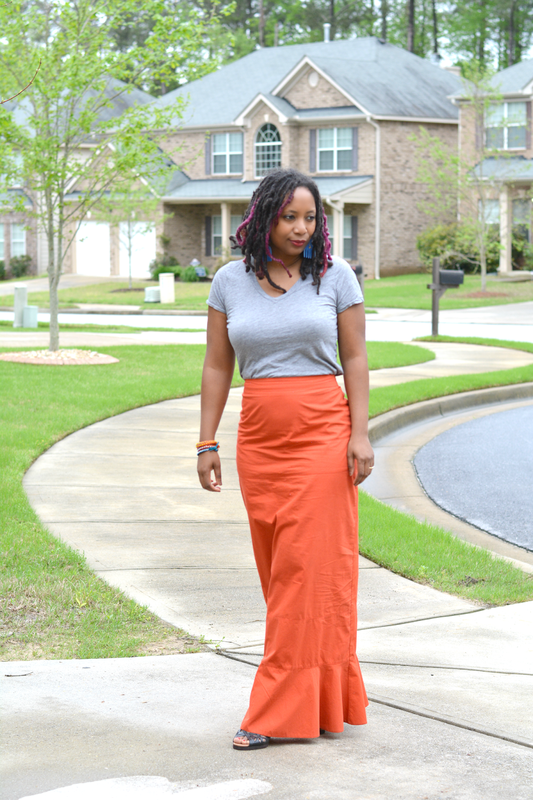 I love that you took the pocket off this skirt to make it fit your style!